When you think of the Elven Lords, imagine a self-appointed peacekeeping force armed with enchanted weapons, the strongest magical capabilities and centuries of martial practice. Now, with the destruction of their armies at Khamsin and the hideous betrayal by the Atlanteans fueling their rage, the Elven Lords are holding nothing back in their attempt to reduce the chaotic races of the Land to ruin. The mysterious Elven Lords are the most powerful Elves in the Land, whose purpose stands at nothing less than crushing out any race that grows strong enough to challenge them. Believing themselves capable of doing nothing less than “the right thing”, the Elven Lords methods for battling the forces of chaos are sometimes powerfully destructive. As many of the Elven Lords view the members of the lowlander races as little better than animals, they tend to treat enemy warriors as dangerous beasts not deserving of compassion or pity. 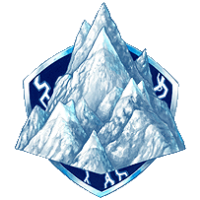 Unparalleled warriors and mighty wizards, the priests, generals and paladins of the Rivvenheim mountains use their faith, centuries of training and powerful innate magical abilities to channel great power directly from their Heiramman gods. This ability sets them apart from their lowland Elven brethren who long ago cast aside their immortality for such novelties as ‘freedom’ and ‘free will’. The foremost task of the armies of the Elven Lords is to protect the mountain passes and the Hundred Cities from invasion. High Elves have defended the North and South passes for thousands of years, using magical swords, lightning-spears and enchanted longbows blessed by the Heiramman gods to strike down their enemies. The High Elves do not conduct trade with outsiders, and no one taken into their guarded mountain stronghold ever returns. But a riddle plagues the peoples of the Land—are the High Elves protecting something east of their homeland, or are they protecting the Land from some unrevealed danger? The soldiers that serve in the Elven Lords armies have spent the better part of their long lives in Warrior Temples, honing their martial, magical and mental capabilities to a fine edge. Now, faced with a land thrown into desperate war, they are putting their skills to the test by finding a way to reinstate balance in the Land by any means necessary. The era of the Knights Immortal died at Khamsin, when Council Lord Jamus failed to capture the Khamita's castle. While the High Elven Council now places their faith in the Elven Lords and the Temple Masters those High Elves who believe in justice and chivarly now leave the Rivvenheim mountains in greater numbers. With the recent surge of magic from the Solonavi spell, the Elven Lords are in a position to crush the lowlanders in ways their enemies never previously even dreamed of. Loss at Khamsin: With the Atlanteans pulling out of the fight for Khamsin in the last days of the battle, the Knights Immortal armies were faced with a difficult choice – fight and die with valor, or retreat and lose all honor. They chose to fight with honor, and were slaughtered against a well-entrenched force led by Duke Skala, the Red Duchess, and Nadia os Darras, better known as the Black Thorn. 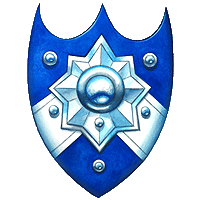 Stonekeep: Sir Mishler's failure to capture Stonekeep came with a terrible price. As result of the High Elven Council failing to "get the job done", the secret Relishan Council – a group of nobles that secretly controls the affairs of Rivvenheim – stepped up and began actively manipulating the governing council to make decisions better suited to the High Elven destiny of subjugating all of the lowlander races of the Land. Surge of Power: Since millennia ago, the amount of magical power in the Land had faded significantly, reducing the High Elves capabilities with spells and weapons of power. 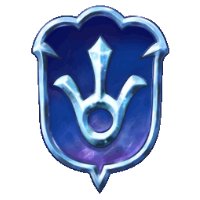 However, with the Solonavi spell, the High Elves suddenly have the capability to cast their most powerful spells, wield their most devastating weapons, and call upon the Heiramman gods for miraculous effects not seen since the Age of Mists. The Temple Masters continue a tradition of military excellence that has been a part of High Elven life for millennia. The defeats at the Battle of Khamsin cost the Elven Lords dearly, but the Temple Masters are still ready to take up the fight against the lowlanders that took the lives of so many of their fathers, mothers, sisters and brothers. 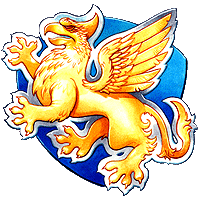 Armed with age-old magical weapons, giant griffons for mounts, and books of spells never before seen in the Land, the Temple Masters now are ready to confront the lowland races and destroy them wherever they stand. For now the main bastions of the Temple Master armies guard the slopes of the Rivvenheim Mountains against invaders, while bands of griffon-riding strike groups lash out at more remote enemy targets with a lethal precision. Much to the irritation of the Elven Council that rules Rivvenheim, a sizable number of High Elven warriors have chosen to leave their Temples before completing their training. For many of these young Elves, all they know about the “mortal lands” is from stories told by returning warriors and pages from outdated history books. By leaving the Temple Masters and joining the Free Armies, these High Elves can play virtuous and chivalric roles within the Land – protecting the weak, destroying tyrants, and ensuring that people of all races can depend upon them in times of need. However, while joining the bands of High Elves fighting in the “Free Armies” is the adventure of a lifetime, every Free Army Elf knows that it is a choice not made lightly—as those that join the Free Armies are forbidden forever to return to the Rivvenheims, and are considered to be disowned by the entirely of the High Elven people. By becoming respected knights within the lowlands, they cast aside all credential with their own people, and may even face the wrath of the warriors of Rivvenheim if they end up choosing the wrong lowlander to back in battle. The elven sorcerers of the Order of Sorcery take advantage of their extended lifespans to engage in long meditations on the nature of magic, sometimes spending years studying a single spell. The Order gathers in occasional conclaves to share their discoveries, after which the sorcerers retreat to the libraries and workshops of the isolated towers they have constructed throughout the Rivvenheims. Often, however, many members of the Order will emerge from their self-imposed seclusion to follow ley lines across the countryside as part of their eternal search for the source of magic and their study of how it flows through the Land.